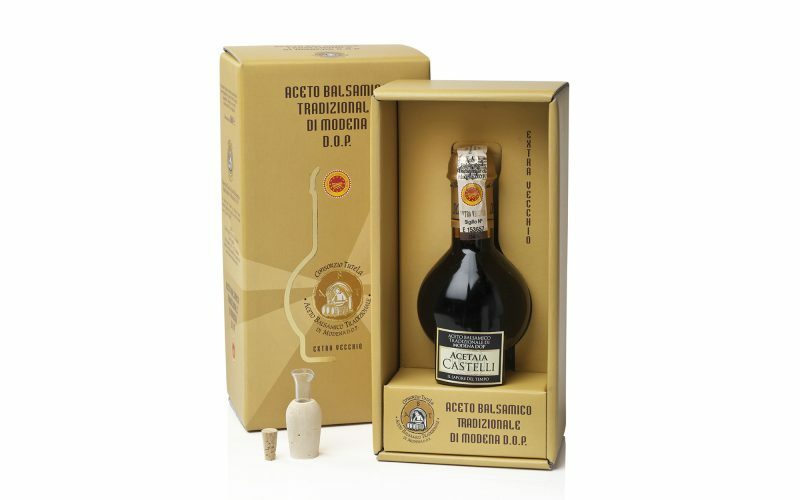 Traditional balsamic vinegar of Modena is together with “Gold Label” Reggio Emilia one, the best product on the market. It is aged more than 25 years in barrels. The taste is round, full and perfectly balanced and it releases a symphony of different flavours.